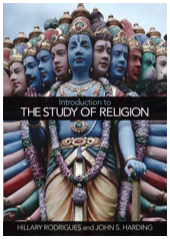 aspires to be a collection of resources to aid scholars and students in undertaking the academic study of religion. While pursuing various pedagogic projects at the University of Lethbridge, we noted the need for a website dedicated specifically to the field of religious studies. We envision the site developing through contributions by scholars and students of the discipline, in the form of links, reviews, and other relevant materials. We enthusiastically invite you to share in this endeavour.